Winner of the Tribeca Interactive – Genero TV & Interlude competition, this interactive music video tells the love story between a mermaid and a diver. The narrative follows the mermaid’s perspective, while the users’ choices shape the journey she undertakes in the search of her true love. 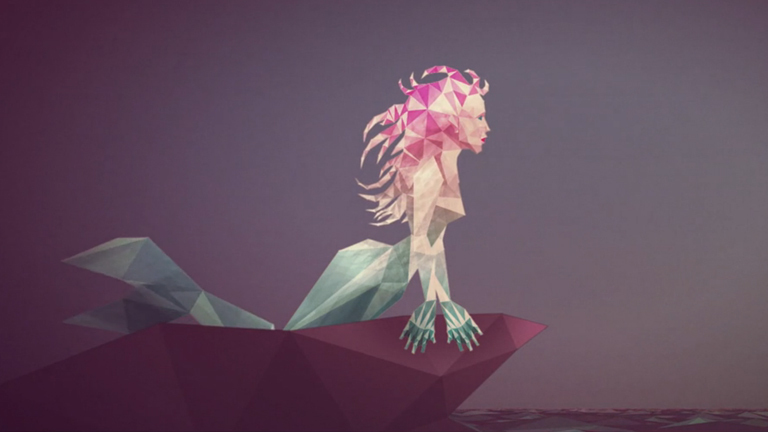 Director’s Mate Szabo pastel colors and geometrical figures aesthetic perfectly fits and compliments the ethereal nature of Ellie Goulding’s “Dead in the Water” track. Also, quite wisely, the alternatives viewers get to pick from, are not so obviously represented, making the discovery of what is going to happen to the mermaid, actually a surprise. Rather than having the options reflected by words (such as “left”, “right”), users get to pick from different animals or various shapes. An overall very subtle and delicate experience, yet definitely memorable visually! Read more about the Interlude technology here. Winner of the Tribeca Interactive – Genero TV & Interlude competition, this interactive music video tells the love story between a mermaid and a diver. The narrative follows the mermaid’s perspective, while the users’ choices shape the journey she undertakes in the search of her true love. Director’s Mate Szabo pastel colors and geometrical figures aesthetic perfectly fits and compliments the ethereal nature of Ellie Goulding’s “Dead in the Water” track. Also, quite wisely, the alternatives viewers get to pick from, are not so obviously represented, making the discovery of what is going to happen to the mermaid, actually a surprise. Rather than having the options reflected by words (such as “left”, “right”), users get to pick from different animals or various shapes. An overall very subtle and delicate experience, yet definitely memorable visually! Read more about the Interlude technology here.